Let life be a nonstop and never-ending celebration of your SELF. Be so untouchable at the core that you can celebrate each moment in your life. Celebrate your ups and downs, celebrate your rise and fall. Remember! among all this, your consciousness is always shining. Happy celebrative life! Love n light. Meditation’ and ‘Circle of Light spiritual phenomena’ along with 20 + guided meditations to address all aspects of human consciousness and emotional problems. He is also an internationally acclaimed author of 12 spiritual and self-help books. His books –‘Beyond Karma’, ‘The Light’, ‘The Cosmic Energy & Chakras’ and ‘21 Meditations for Empowerment’ are best sellers and have shown the path to many seekers. 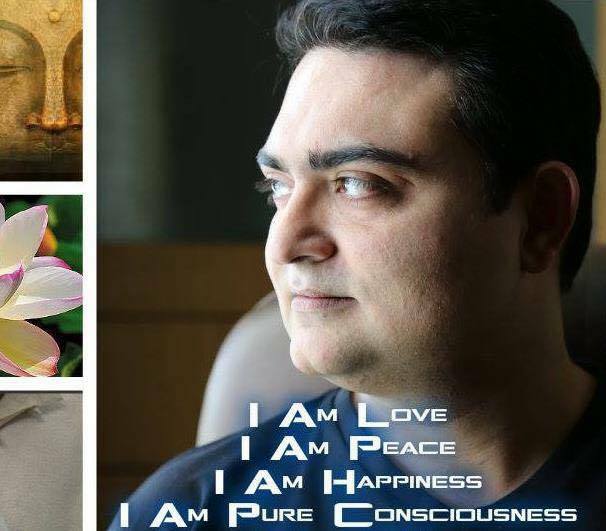 Since the beginning of his work as a Life Meditation Coach and Spiritual Guide in 2005, he has assisted thousands of people all over the world to discover their spiritual path. He helped them in recognizing and using the full potential of their own creative powers for personal growth and self-evolution. Born in 1974 in central India, a Networking Engineer and Masters in IT by education, Dev OM took on to the path of meditation and self-discovery in 1997 and kept growing in his quest for ultimate realization. He left his flourishing software exports business in 2003 and moved to the Himalayas to live there, learn and meditate. After 6 years of meditation, experiments and deep inner cleansing he finally got his realization of absolute Oneness and the pure conscious nature of life in November 2009. After that, he was guided to travel around and to learn the mystical nature of life in a normal social structure in the cities. Since then he is traveling around the world to meet and share with people the divine knowledge and wisdom he has received. He is telling people not to leave their worldly life but to have a conscious and fulfilling life. He helps them to achieve the inner state of unshakable peace, love, and joy with his simple yet profound teachings and techniques. His major works include a great amalgamation of western scientific approach with eastern spiritual understanding. Being a Network Engineer himself of early years, he has learned to create Internet and wifi networks. This education, his interest in quantum physics and his sadhana helped him understand the concept of oneness and synchronicity. It became easy for him to realize the concept of the energy flow and to discover the internal protocol of human consciousness in order to receive the connection with the universal or divine energy and so on. He gives simple yet effective techniques to connect with own consciousness and to get synchronized with universal consciousness. This way a practitioner can achieve a focused and clear mind with an integrated and peaceful personality. He emphasizes the development of inner divine being and promotes the path of love, happiness, and celebration to spontaneously achieve the state of divinity inside. Dev OM has successfully facilitated his courses and trainings in 18 countries throughout the world and his works have been translated into 7 different languages in five countries. He is the founder of OM Foundation and OM School of Self-Discovery, an NGO and school dedicated for creating and teaching self-discovery courses, tools, books, and meditations and to support the mass human evolution. He runs the OM School of Self-Discovery in Delhi, Rishikesh, Mcleodganj, and Amritsar in India. • Internationally acclaimed Trainer, Speaker, and Author. • Creator of 25+ Guided Meditations and self-discovery tools addressing different emotional and psychological situations. • Dev OM has traveled more than 500 Cities in 33 countries and has rich experience of living in different countries and cultures. He carries a deep understanding of human psyche and emotions. Athens, Greece on NVC and Compassionate Communication. Barcelona and Granada, Spain on Yoga, Meditation Shiva Consciousness, and Tantra Energies. • Regularly organizing Self-discovery retreats, Teacher Training Programs, Meditation camps at his school in Rishikesh and Mcleodganj for last 14 years. • Imparted trainings to many organizations/corporates.